An Evanston Police Department officer. EPD received a report recommending staffing reviews and increased use of technology to increase department efficiency. 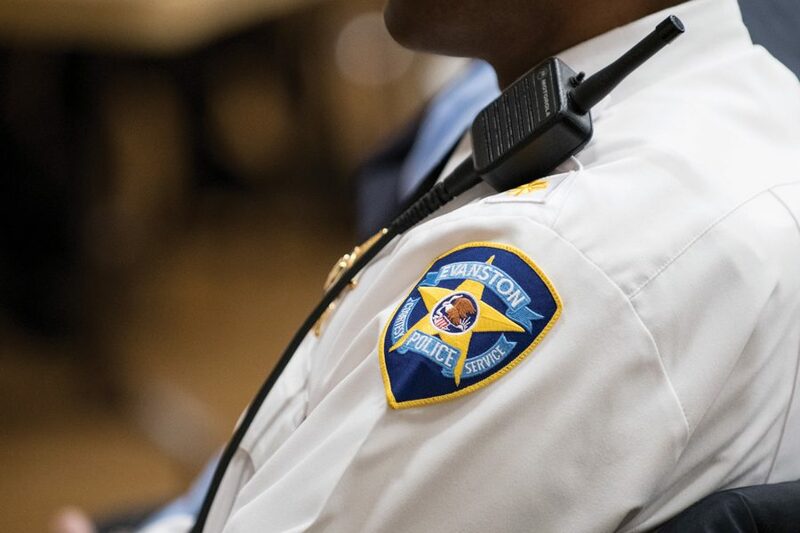 An efficiency report recommends that the Evanston Police Department review its supervisory and command staffing. The report — which was completed in October by Hillard Heintze, a security risk management consulting firm — made a series of recommendations to increase efficiency in the police department within the context of its organizational goals. These recommendations include examining staffing of sergeants and commanders and more fully utilizing technology, among other recommendations. Debra Kirby, chief legal officer for Hillard Heintze, presented the report to the Human Services Committee on Nov. 5. The report produced six key findings and strategic recommendations to improve EPD, including implementing consistent supervisory staffing across the department. Kirby said the report found variations in supervisory staffing within the department, and recommended that EPD review how to maximize the value of staffing supervisory sergeants. “Law enforcement officers have great capacity to make significant decisions that affect lives and well beings of many people, so strong supervision generally creates a decreased risk,” Kirby said. The report also recommended conducting an internal staffing study, noting that the department has a relatively large command staff. EPD has 11 sworn command staff members and 20 sergeants, according to the report. EPD has already began implementing recommendations from an efficiency report, Evanston police Cmdr. Ryan Glew told The Daily. Other findings include a recommendation that EPD consider the organizational structure in light of overall goals and establish a formal strategic plan for community outreach and engagement. The report also recommended a fuller exploitation of technology to drive “intelligence-based policing.” EPD has an automated record management system, but the report found that this system is not fully used. Doing so would generate efficiencies and create better data organization, according to the report. The document will serve as a guideline in the process of transitioning to a new chief of police, Glew told The Daily. Current Evanston Police Chief Richard Eddington announced in July that he plans to retire at the end of December. City manager Wally Bobkiewicz said at the Nov. 5 meeting that the report will help focus the attention of the new police chief, providing a “good framework” for future discussion of issues EPD is facing. Bobkiewicz is currently interviewing and selecting top candidates for the position, he said. City Council allocated $25,000 last year to conduct this study, intended to be “as focused and targeted as possible,” Bobkiewicz said. Ald. Judy Fiske (1st), who sits on the Human Services Committee, said at the Nov. 5 meeting that the report’s suggestions, while helpful, will be “tailored” to meet Evanston’s needs specifically.